Click on Admin, and then hover-over Assessments and select Formative. Use the search options to filter assessments by title, subject or creator. Once you have found the assessment with the Reports you want to view, click on the Reports button. The Reports button will be darker if there are reports available with that assessment. 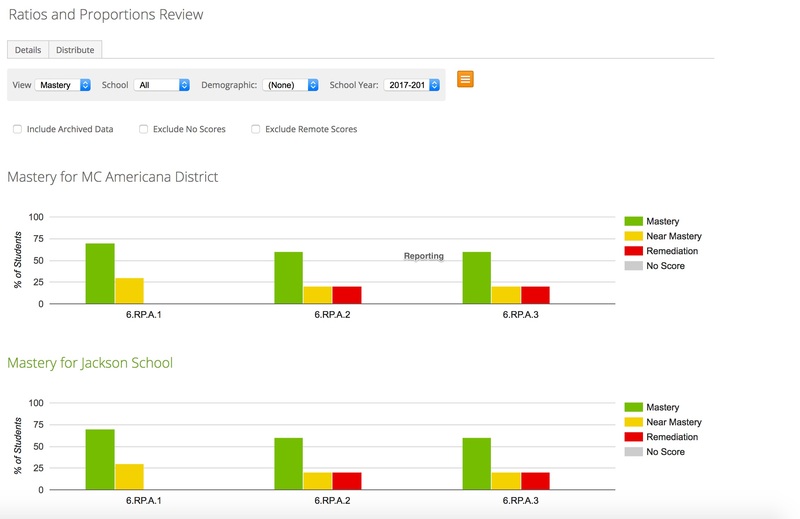 The reports will appear and you can filter the reports by school, teacher, school year, or student demographics. Note: Use the School Year drop-down menu to view formative assessment data from previous years. To view reports at the student level, click on one of the colored bars on the graph. 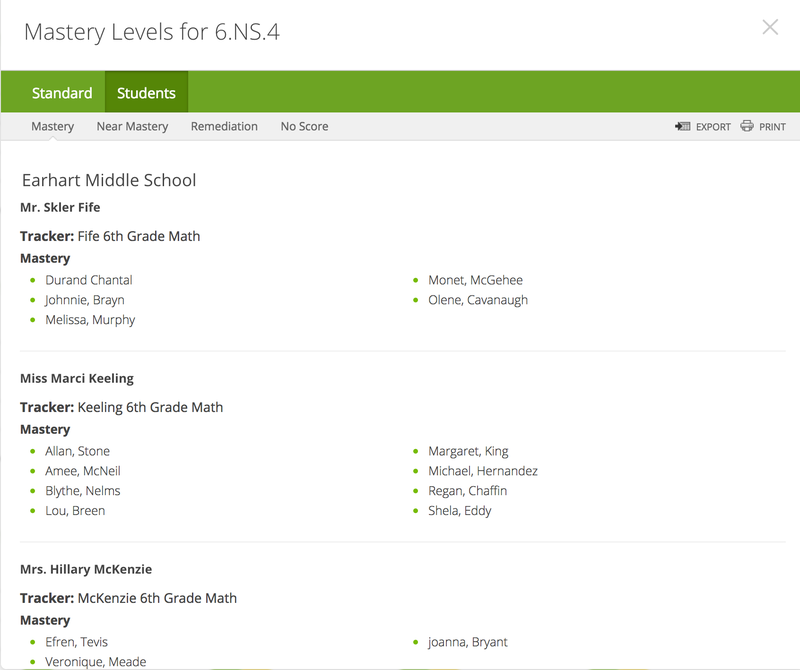 You can view students in each mastery level, by clicking Mastery, Near Mastery, or Remediation.